Washington D.C. [USA], Dec 19 (ANI): Former US National Security Advisor (NSA) Michael Flynn's sentencing has been postponed to 2019 by Judge Emmet Sullivan on Tuesday (local time). Trump's NSA to resign soon? Washington D.C. [USA], Feb 23 (ANI): United States President Donald Trump's national security adviser (NSA), Lt. Gen. H.R. McMaster will reportedly resign from his post and will head back to the military, according to defence and administration officials. London [United Kingdom], Dec 5 (ANI): Special counsel Robert Mueller, who is investigating the Russian meddling in the 2016 US Presidential election campaign, has been handed over the data on accounts held by United States President Donald Trump. Washington DC [USA], Dec 3 (ANI): United States President Donald Trump, in a series of tweets, threw flak at the Federal Bureau of Investigation (FBI) saying "its reputation is in tatters" and vowing to bring it "back to greatness". Washington DC [USA], Dec 3 (ANI): United States President Donald Trump has heaped praises on ABC News for suspending the chief investigative journalist over an erroneous report about former national security advisor Michael Flynn. Washington D.C. [United States], Dec 3 (ANI): United States' ABC News has suspended the chief investigative correspondent, Brian Ross, for four weeks without pay over an erroneous report about former national security adviser Michael Flynn, the network announced. Washington D.C. [United States], December 3 (ANI): United States President Donald Trump came in defence of former national security adviser Michael Flynn, who pleaded guilty on Friday to lying to the FBI about his interactions with Russia, by stating that there was "nothing to hide". Washington DC (USA) December 2 (ANI): The former national security adviser and a close confidant of Donald Trump, Michael Flynn, is ready to testify that he made contact with Russia under the direction of the United States President. 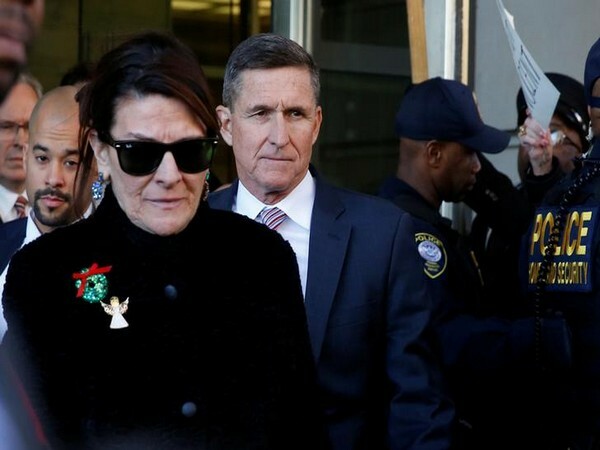 Washington D.C. [United States], Dec 1 (ANI): United States President Donald Trump's former national security adviser, Michael Flynn has pleaded guilty for lying to the Federal Bureau of Investigation (F.B.I.) about conversations with the Russian ambassador in January.